All presentations above will be at Gardner Auditorium, W.A. Franke College Of Business, South Campus NAU (Building 81) — and FREE PIZZA WILL BE SERVED!! Grand Canyon Uranium Mining Action Timeline – very informative! All presentations above will be at Gardeners Auditorium, W.a. Franke College Of Business, South Campus NAU (Building 81) — and FREE PIZZA WILL BE SERVED!! GRAND CANYON NATIONAL PARK— One year after the Obama administration enacted new protections limiting uranium-mine development on 1 million acres around Grand Canyon National Park, pollution and legal threats from the uranium industry remain. Five uranium-industry lawsuits — one seeking upwards of $120 million from the United States — as well as plans to reopen two 1980s-era mines still threaten the public and traditional tribal land and water within and around Grand Canyon National Park. The administration finalized the million-acre “mineral withdrawal” around Grand Canyon on Jan. 9, 2012, following regional and national uproar over the potential impacts of a new uranium-mining boom in the world-famous landscape. The withdrawal prohibits new mining claims and mine development on old claims that lack proven ore reserves and valid rights to mine. Five lawsuits from the uranium industry and its supporters were filed in 2012 challenging the withdrawal; one was withdrawn, and four were consolidated into one suit, now before a federal district court in Arizona. To defend the withdrawal, the Havasupai Tribe and conservation groups have intervened in that suit. London-based VANE Minerals withdrew its suit challenging the mining restrictions late last month, opting instead to sue the United States in the court of claims. In that pending suit, VANE claims that the new restrictions on mining entitle it to $120 million-plus from U.S. taxpayers. 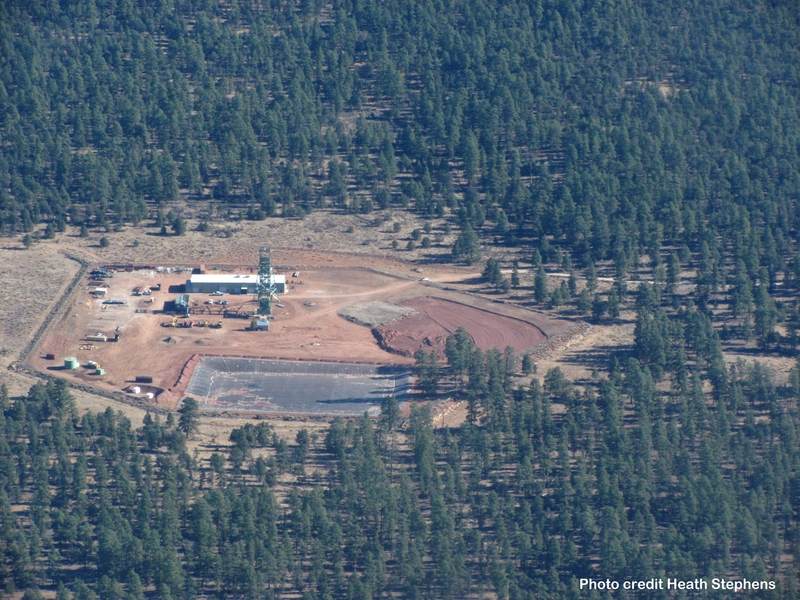 The Kaibab National Forest in April granted mining rights to Energy Fuels for the Canyon Mine along Grand Canyon’s south rim and within the withdrawal area. In June the Forest announced that it would allow Energy Fuels to reopen the Canyon Mine without updating its 27-year-old “environmental impact statement.” The mine is adjacent to Red Butte, an area sacred to the Havasupai, who in the 1990s waged a years-long court battle to block the mine. The Bureau of Land Management is allowing Energy Fuels to prepare a second mine, the Pinenut Mine located north of Grand Canyon, for opening. Like the Forest Service, the BLM has not updated 1980s-era environmental reviews for that mine or for the nearby Arizona 1 mine, which began operations in 2009, and which tribes and conservation groups have sued to halt. That litigation is now before the 9th Circuit Court of Appeals. Uranium pollution already plagues the Grand Canyon and surrounding area. The Navajo Nation has several hundred abandoned uranium mines that have yet to be cleaned up. Because dozens of new mines threatened to industrialize valued lands, destroy wildlife habitat and permanently pollute or deplete aquifers and springs, scientists, tribal and local governments and businesses have all voiced support for the protection that the mineral withdrawal affords Grand Canyon and its surrounding land.